My mum has never let me have pets. Not because she doesn’t like animals, she’s just not a fan of the ginger hairs they leave behind all over the settee, carpet and your new black leggings. Cats in particular have a terrible habit of molting, seasonally shedding a light covering of their furry coat. Fortunately, ceramic artist Midori Takaki has a solution for my lint-roller-wielding mother. Originally from Japan, Takaki crafts sculptures of curious, whimsical creatures perfect for the mantelpiece. 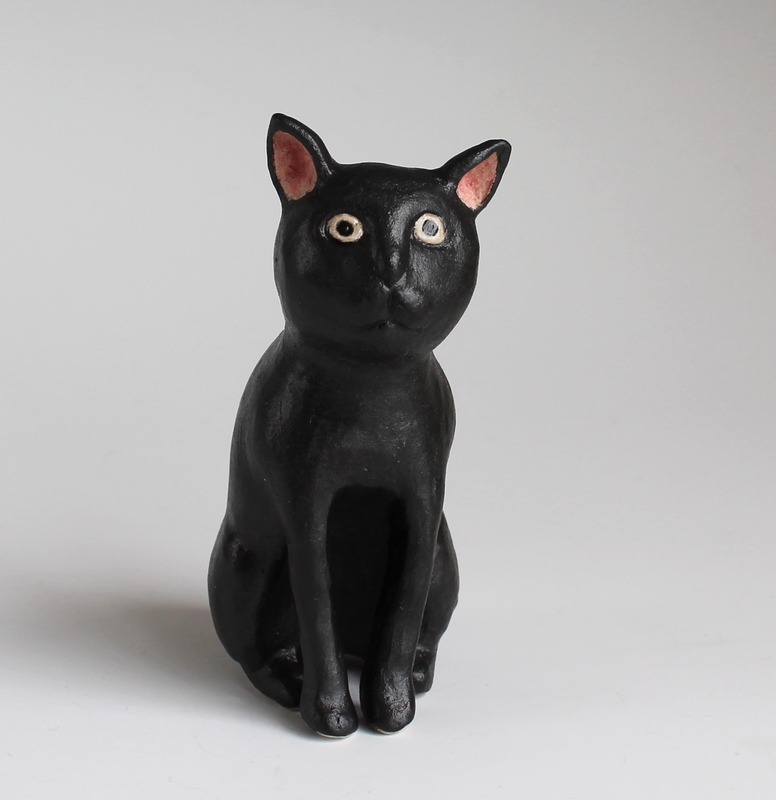 Taking inspiration from traditional methods and forms, her little black cat is just one of her many animal creations. Takaki’s fragile feline is a meek sitting figurine, with a most desirable matte complexion; season after season no hairs will be shed. A hair-free lucky charm that requires no litter tray. What more could my mum want? If this doesn’t work I’ll try my luck with a bald Sphynx cat.